From Jeremiah, to Peter, to Paul, the bible is full of stories of prophets who were imprisoned because they dared to speak the truth. 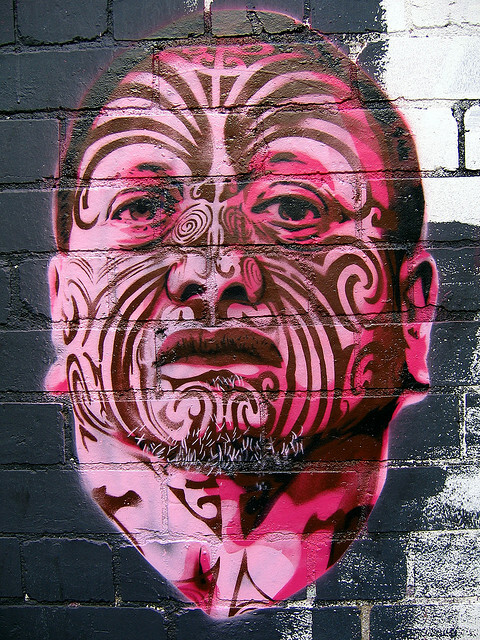 This week in Auckland, we have somewhat of a similar case in the imprisonment of Tame Iti and Te Rangikaiwhiria Kemara. Now, this post is not intended to argue the details of the law, or indeed its application. But rather it is an attempt to try and make sense of exactly what happened on the 15th of October 2007, and the affects the events of that day had, and continue to have on Tuhoe, Māori and New Zealand. Perhaps one of the most moving speeches ever presented to Te Runanganui (the Māori Synod of the Anglican Church) was given by the Reverend Awanui Timutimu. Matua Awa, who has since passed away, lived in Ruatoki and was on his way to the Whakatane on the morning of October 15th, but he never got there, not that day at least. Matua Awa was greeted by armed, Police in full combat gear as he drove through Ruatoki. The Police ordered him to get out of his car, and to lie down on the side of the road while they searched it. They then took a picture of him next to his number plate in a final act of humiliation. Matua Awa, was a Navy Veteran, having served in South-East Asia, the Far East and the Pacific. He was also a Priest in the Anglican Church and a respected Tuhoe Kaumatua. A pillar of his community and the Church brought to his knees and humiliated by cowards who covered their faces and refused to listen. It is these experiences, these unacknowledged mamae (pains) that we must keep upmost in our minds as we continue to move forward and make sense of what happened 5 years ago. Unfortunately, for Tame and Te Rangikaiwhiria, their court case and imprisonment has ensured that their story and that of Matua Awa’s will be forever intertwined, and forever make up the sad, sad song that Tuhoe and Māoridom have been singing since October 15th 2007. If you were to ask me if Tame and Te Rangikaiwhiria are prophets, I don’t think I could answer that question with any certainty. If, however you were to ask me are they prophetic, I think I would have to answer in the affirmative. Prophets, biblical or otherwise are in many ways like weather vanes; they gauge the atmosphere and point out the changes. Here, like the prophets of old, Tame and Te Rangikaiwhiria are pointing out to us the continued injustice that surrounds us every day. Tame and Te Rangikaiwhiria are pointing out to us the deeply, deeply concerning and painful change of wind that has been slowly gaining strength since 2007. It is now up to us to act, to respond and indeed to be prophetic ourselves. This is a calling we are all a part of, it is more than just a calling of race, or space or time. It is a calling of the gospel, to affect change where there is injustice, to speak out where there is wrong and to act prophetically when called upon to do so. The imprisonment of Tame and Te Rangikaiwhiria is calling upon us to do just that, if not for their sake, then for the sake of the gospel of justice.